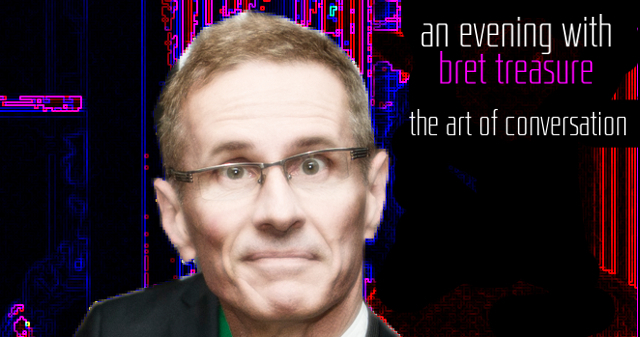 Join me on Saturday, September 5th for an Evening with Bret Treasure. We’ll be discussing mannerisms, mothers, silence, toilets and the future of marriage. Chat with your friends, then hear some ideas and stories. Entertaining, and thought-provoking. The event is alcohol free. Admission includes pizza and soft drink. Tables of 4 or 5. – it’s a 7.30PM start; ends at 10PM. Tickets cost $20 +GST.